IFC Films has announced that that they have gained the U.S. theatrical distribution rights to Australian director Garth Davis’ biblical drama film Mary Magdalene. Starring Academy Award-nominated actors Joaquin Phoenix and Rooney Mara, the company is planning to release the film next month on April 12, just in time for the start of the Holy Week. The film was originally scheduled to be released on March 2018 but it was pulled out from the schedule due to The Weinstein Company declaring bankruptcy last year. The new release date will see Mary Magdalene going up against three big movies including Universal Pictures’ comedy film Little starring Regina Hall and Issa Rae; LAIKA’s newest animated stop-motion film Missing Link; and lastly, Lionsgate’s highly-anticipated Hellboy reboot. Directed by DGA Award winner Garth Davis (Lion) and produced by See-Saw Films’ Iain Canning (Lion, The King’s Speech) and Emile Sherman (Lion, The King’s Speech), Mary Magdalene is the latest collaboration from the team behind last year’s $140 million worldwide box office success and six-time Academy Award-nominated film Lion alongside Animal Kingdom producer Liz Watts. 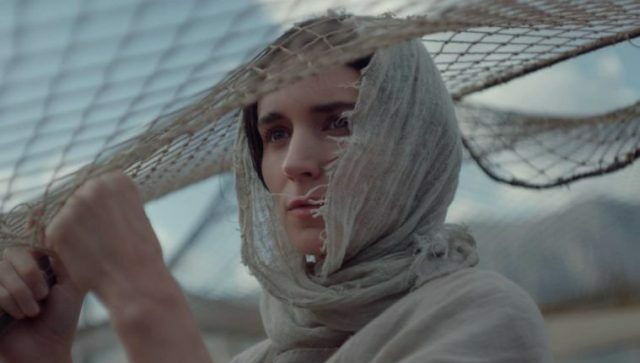 The post IFC Films Acquires U.S. Rights to Rooney Mara’s Mary Magdalene appeared first on ComingSoon.net.